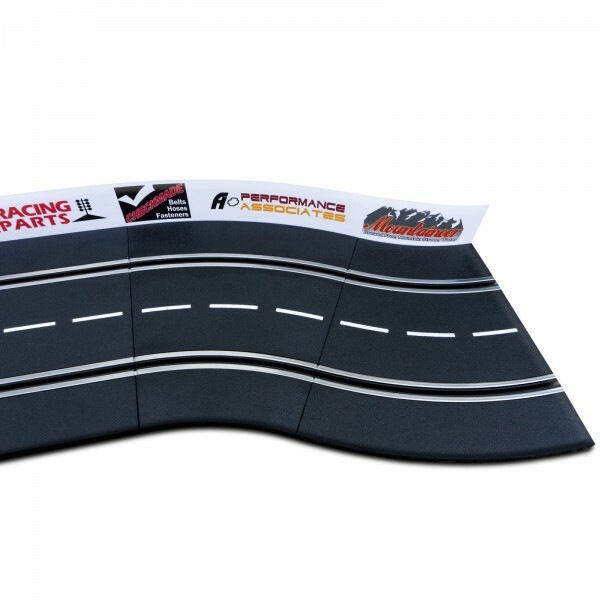 • Decrease your lap times and achieve smoother slot car action! 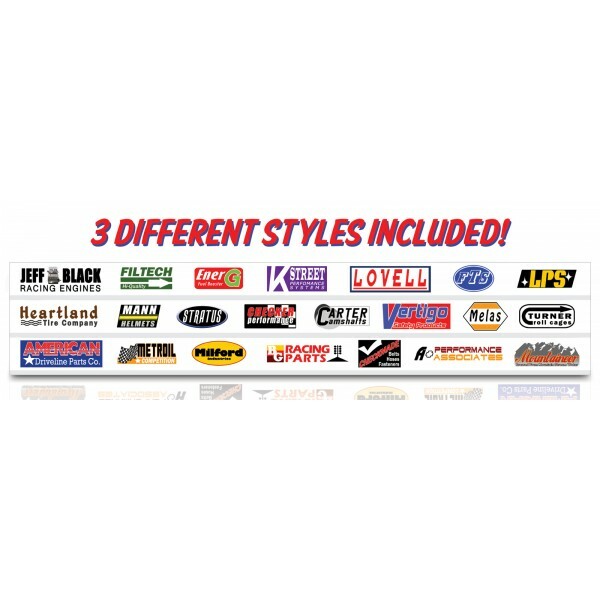 Our "Soft Rail" guards are made with High Def graphics on a smooth soft touch PROFLEX. 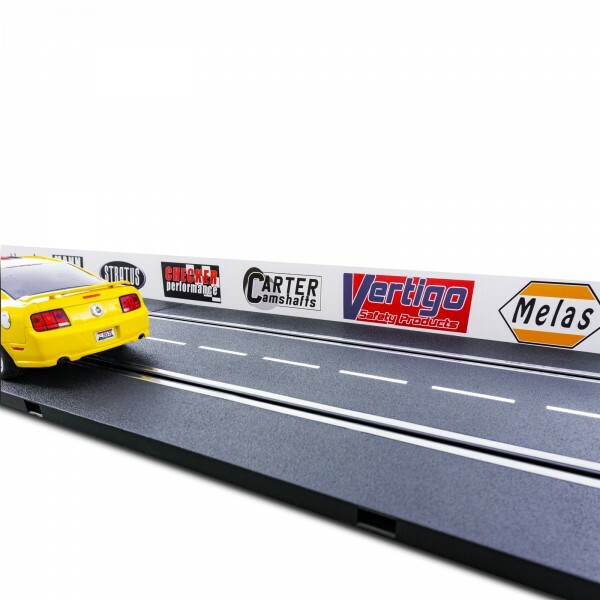 The rails are made with a smooth flexible material that will not scratch your slot car bodies like all other rail systems. Each rail is made with our durable proprietary material. They can be easily cut to any length. Our large 31" sections offer large seamless curves which means far less de-slotting. The soft rail guards are easy to install and don't require clips for installation. You no longer have to worry about unhooked or broken clips. 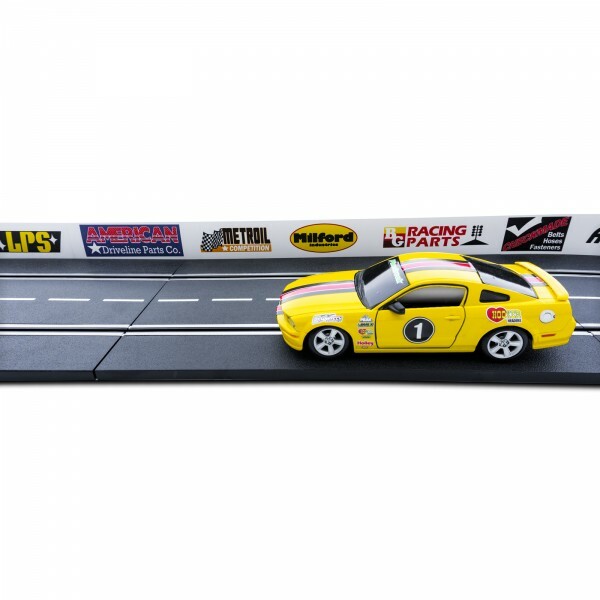 No more thick seams that cause friction, snags, and abrupt stops that have been a problem since slot car racing was invented. Once you switch to our "Soft Rail" sytem you will never go back to old fashioned guard rails again. 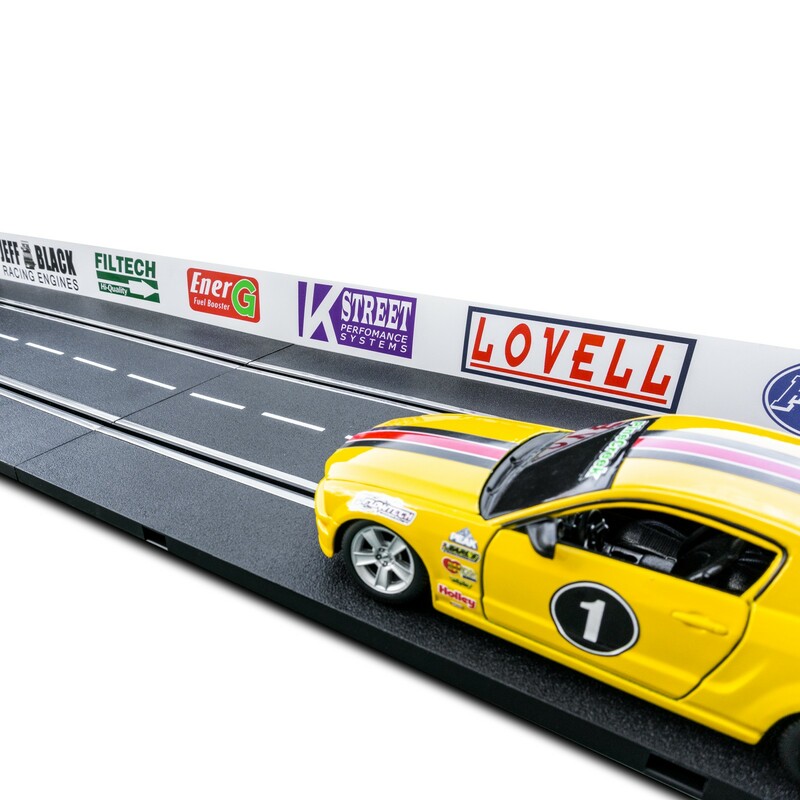 You'll now be able to obtain top speeds without derailing your slot car caused by standard guard rails. 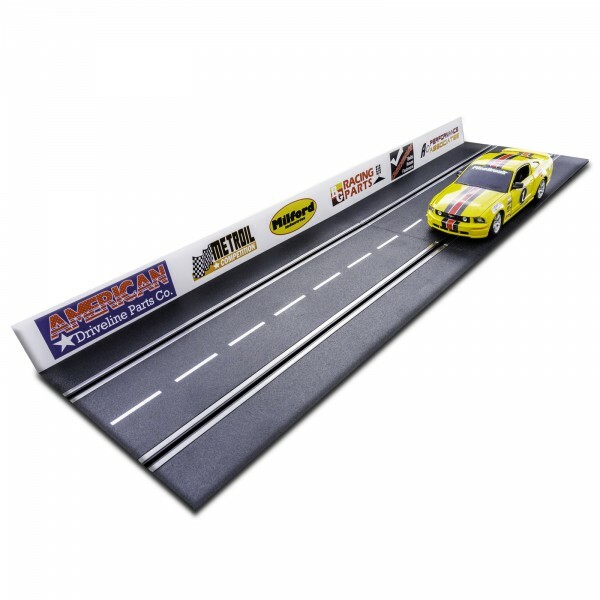 The graphics are high definition, crisp, and colorful - they will work great alongside your Carrera track. 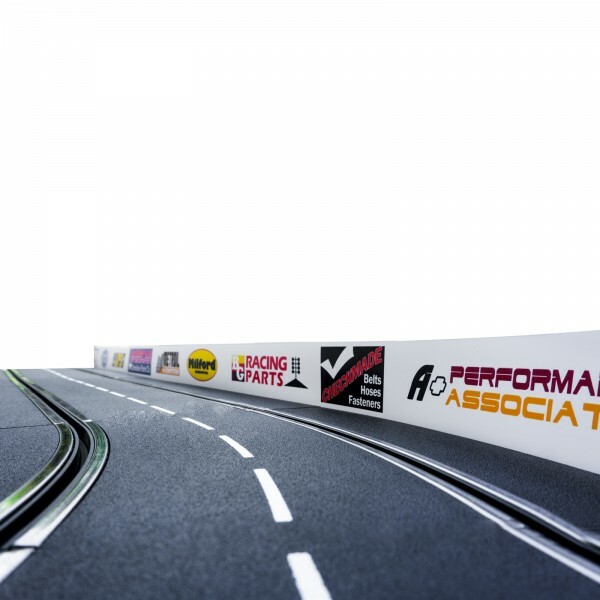 And all other 1/24 scale tracks. Flexible PROFLEX - For easy installation around any curve. Plus they are durable and built to last. 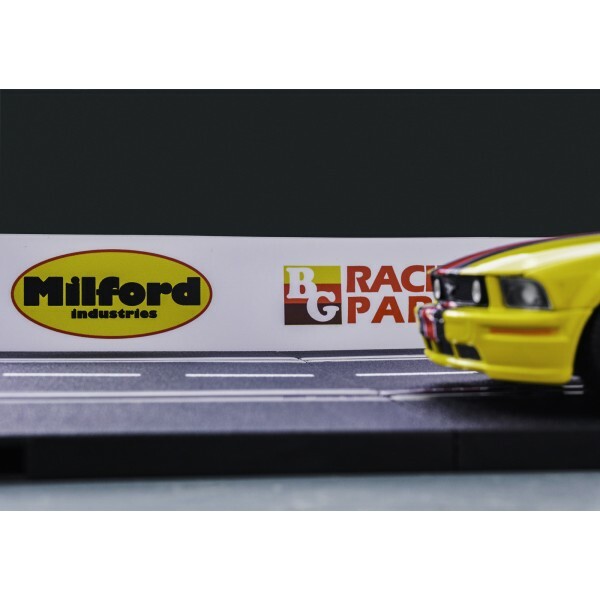 Realistic - Looks great applied to Carrera and other Slot Car tracks. What you get: x3) 31" x 2" Soft Rail Guard Rails. Please measure your track and order as many sets as you need.